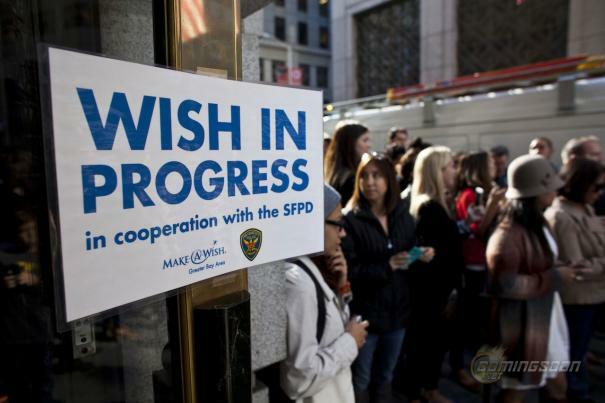 November 15, 2013 was a pretty momentous day for Gotham City as thousands gathered to cheer on five-year-old “Batkid” Miles who, as part of a Make-A-Wish Foundation event, saw San Francisco transformed into the DC Comics city. Donning a cape and cowl, Miles took on the Penguin, saved a damsel in distress and was presented with the key to the city thanks to an intense outpouring of spontaneous support reverberated around the world. Now, Miles’ story comes to the big screen in the new documentary, Batkid Begins, which has today released its trailer. Check it out in the player below! Miles’ wish and this role as a little caped crusader resonated so deeply with filmmaker Dana Nachman that she was inspired to explore what happens when a small-scale event aiming to fulfill one wish goes unintentionally viral, ultimately revealing surprising truths about what happens when someone inspires our society in a digital age. Batkid Begins was directed by Nachman, who also produced the documentary with Liza Meak. The film was written by Nachman & Kurt Kuenne (Batkid Begins). Ian Reinhard & John Crane served as executive producers. Batkid Begins hits theaters on June 26. You can also check out our photo gallery from the 2013 event in the gallery viewer at the bottom of this page.